Jeffrey Beers worked in partnership with Parisian Chef Michel Rostang to create Rostang, The French Brasserie, and with Italian Chef and British television personality Giorgio Locatelli to design Ronda Locatelli. For Rostang, JeffreyBeers designed a traditional French restaurant with modern twists. A wine display and raw bar adjacent to the kitchen offer a lavish presentation of oysters, prawns, mussels, crab claws and scallops, all which complement the modern French cooking. 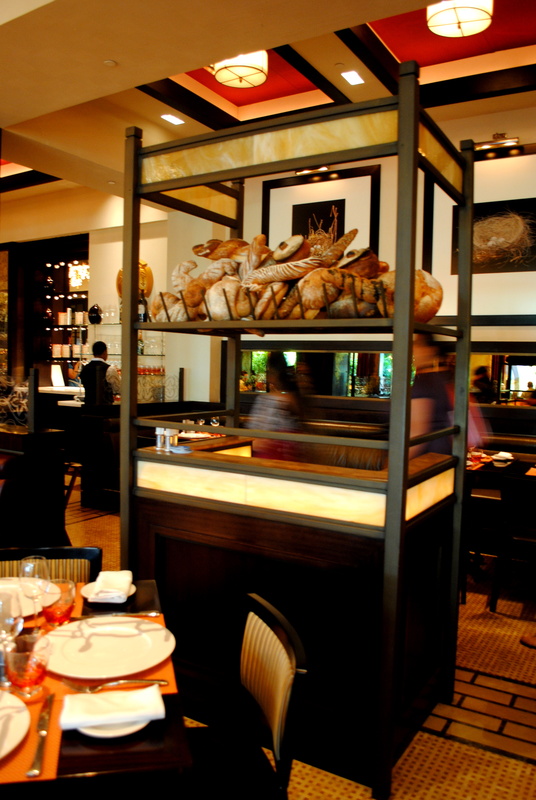 The entrance has a free-standing bread station as well as a pastry display unit, enticing the visitor to venture deeper into this rustic-contemporary French Brasserie.The interiors are styled with deep raspberry walls and dark mahogany wood millwork! The use of antique mirrors creates a vivid contrast to the modern elements of exposed metal, along a curved vaulted barrel ceiling- reminiscent of the Paris Metro.The entrance floor had a very pretty mosaic floral print with a black background which was also continued within the pastry unit. The service stations doubled up as display of bread and baguettes, a thin line of mother of pearl backlit panel, gave a fringe to the rustic unit. 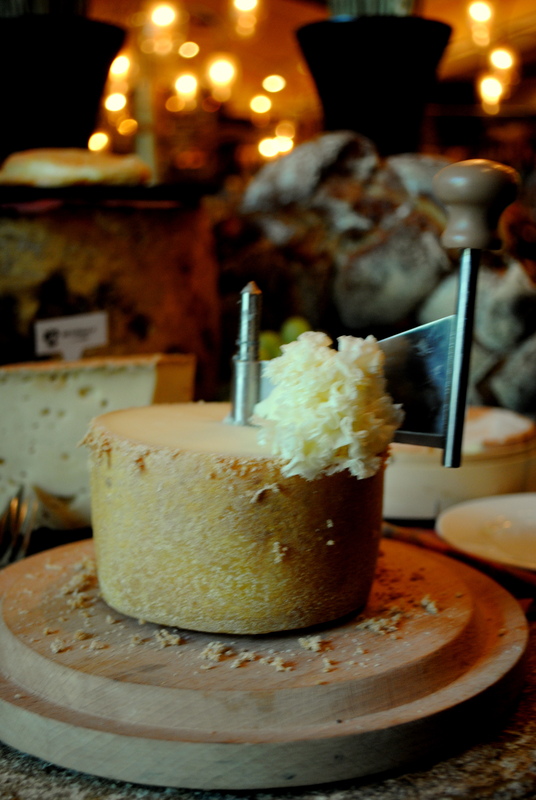 At the Rostang- The cheese was amazing they had cheese, dessert, soup and wine tasting units arranged aesthetically. Having a sweet tooth, I was more enchanted by the desserts – blueberry mousse, chocolate mousse with gold shavings, carrot almond cake, Tiramisu and cheesecakes to name a few! 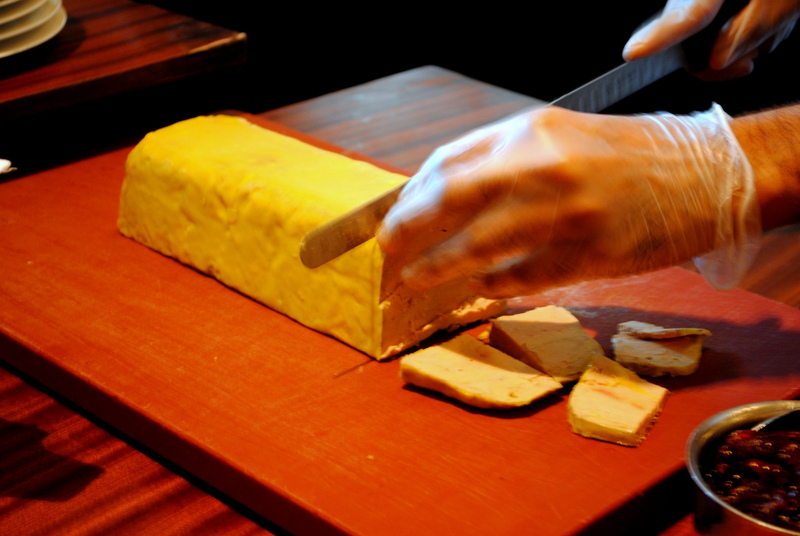 I also met my old friend Foie Gras- I have never enjoyed the dish – not a liver fan!, but fellow bloggers relished it and thought it was good. All agreed upon the cheese board being yummy. I did not taste the French onion soup,it did smell extraordinarily good, Will try it the next time around. The wine tasting went well, with the experts nodding their heads in unison of the quality. The one thing that stood out of the entire experience were the oysters, it was DELICIOUS! To create a rustic yet stimulating environment for Ronda Locatelli, Beers blended the charm of the Italian countryside with the modernity of Dubai. A calming water pond juxtaposed with a custom-built fireplace greets guests upon entering, while a central stone clad structure houses four pizza ovens and grounds the space. 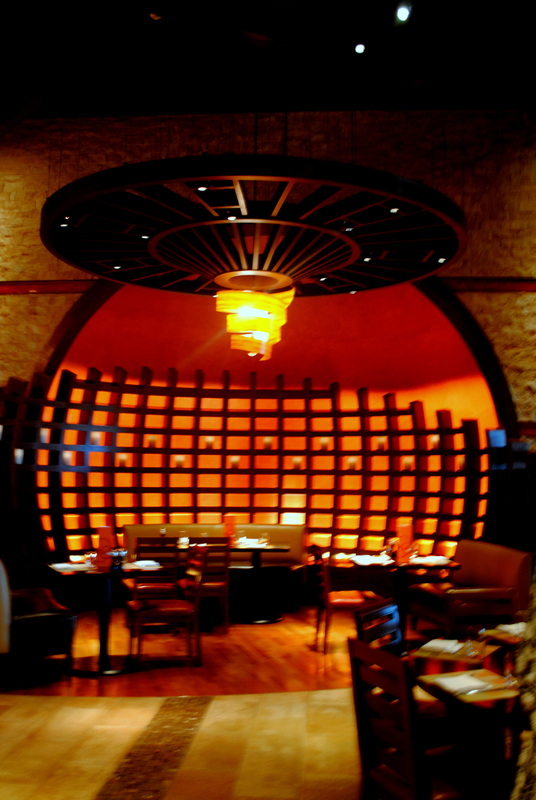 Diners relax on wood basket seating pods and various sized circular wood trellis’ adorned with fiery custom glass light fixtures hang suspended over the entire space. It has a very rustic touch to it. There are small pods for smaller groups and a larger dining module in rectangular fashion for larger groups, both adorned with different finishes, but synchronised with one another. The use of stone and play of light has been the key feature of Beer’s, He has laid down a simple design and executed it in a detailed Manner, Attention to detail has always been Beer’s speciality! I’m not a Pizza fan!I hate the dough stuck within my mouth when I dig into a slice of Pizza, But when tasted the pizza at Ronda, I loved it..Made a Pizza hater not loose hope in this world.. The fineness of the flour, the freshness of the cheese These were all taken care of! The desserts were even better. Their mini desserts were luscious, they all stood out! I’m glad to have had a go at it, even though I was stuffed by this time! I must admit that I had just a slice of the Pizza, But thinking back, if I ever had to go back for Pizza, Ronda Locatelli would be first on my list. We also had a touch feel session of black truffles..their aroma..takes you right back to its origins.. Lovely. I may come back during the white truffle season, when apparently Chef Giorgio Locatelli pays a visit and showcases his famous recipe! This was the end of our journey, and we got goody bags with souvenirs from Atlantis.. What a trip it was, the quickest, most heaviest two and a half hours!! Where we ate, photographed,chatted and enjoyed! Thankyou Atlantis..Adieus!